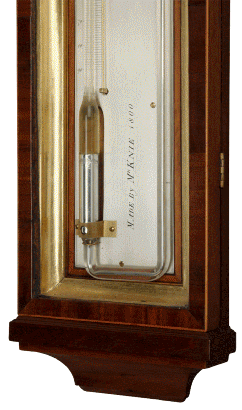 An extremely rare double tube barometer made by and invented by the eminent maker, Balthazar Knie, Edinburgh. 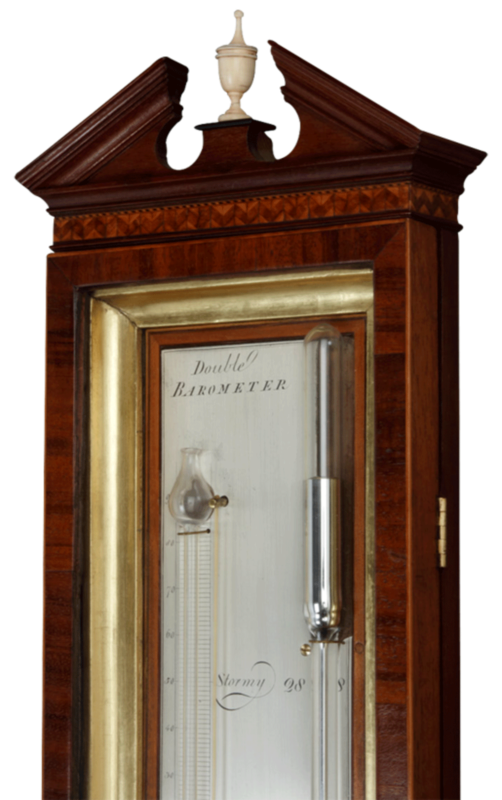 The silvered dial engraved, Made by Mr Knie, 1800. 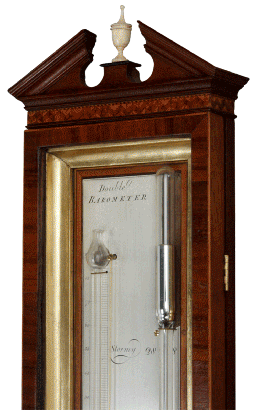 Balthazar Knie arrived in Edinburgh in 1776 and soon became known for fine barometers of original and important form. 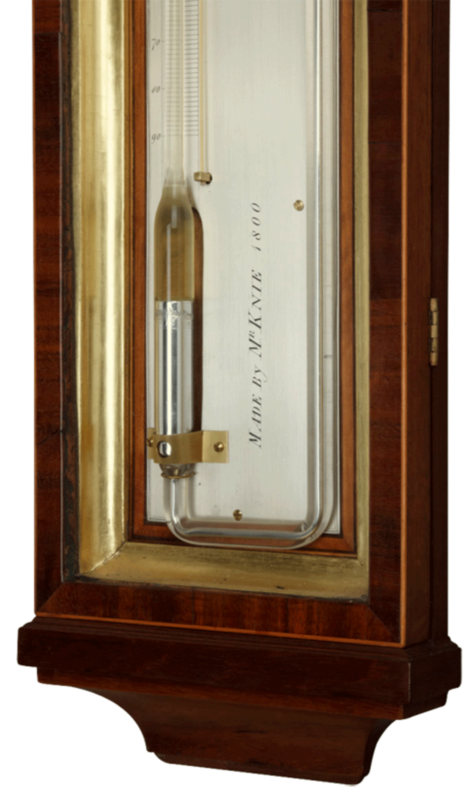 The mashogany case with long glazed door and inlaid with ebony, satinwood and box, the top with an architectural pediment and ivory finial.